For each and every product we have separate Quality Assurance Plan, which is being adhered strictly. All raw materials are procured directly from the reputed manufacturers / distributors. . FIFO system is maintained effectively in our stores. All the raw materials & inputs received in our company are duly tested / inspected before releasing it for production. Each and every product is made under strict supervision for quality control and effective process control. Every batch is subjected to required tests as given in QAP. Random destructive tests are done on finished products to have first hand assessment of the quality of the product. 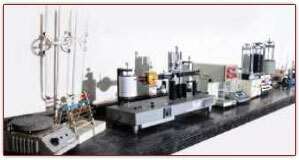 All products are manufactured by state of the art machineries. A group of qualified engineers & technical persons are available to manufacture quality products and for continuous improvement in the Quality Management System.